First, you need your polka dots. I bought a polka dot background image on Silhouette Studio. It was much easier than creating my own polka dots. I cut out enough dots to cover the two sides of my organizer and just enough extra dots to put them on the small front piece as well. I didn’t cut out vinyl for the back of the organizer because I don’t think it will ever be seen, so I didn’t want to waste time and vinyl on that part. I set my cut settings to “vinyl” and cut the polka dots onto the black vinyl. 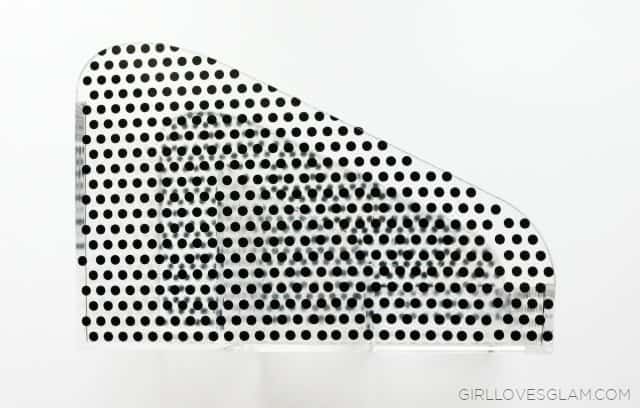 Peel off the excess vinyl, leaving only the polka dots behind. 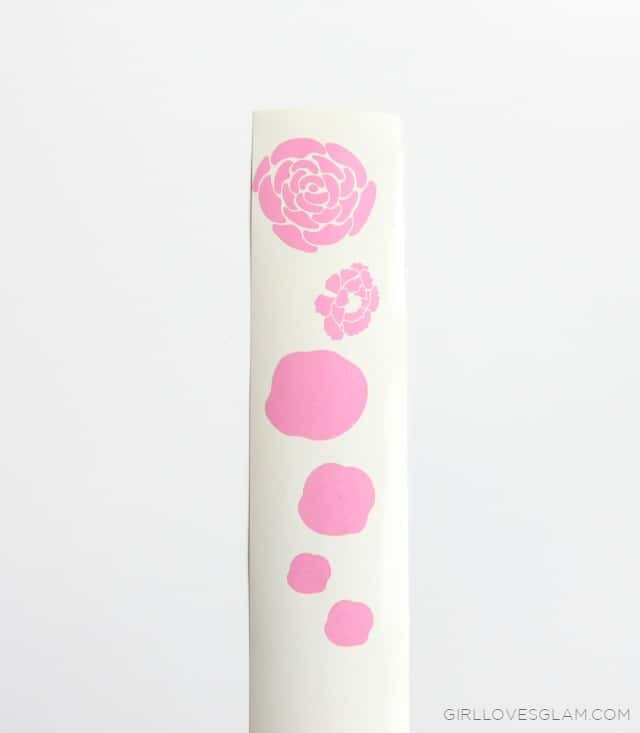 Place the transfer tape sheet over the vinyl and rub hard enough to lift all of the polka dots off of the vinyl sheet. 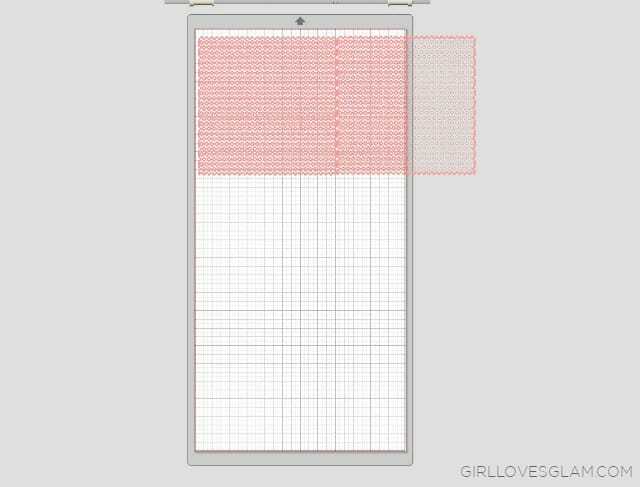 Carefully lay the sheet onto the organizer and press down when you get it placed in the spot you want it to be. Rub the vinyl on well and peel back the transfer tape. There were a few places I had to manually place polka dots when I would have a seam in the pattern, but I feel like it turned out pretty well. 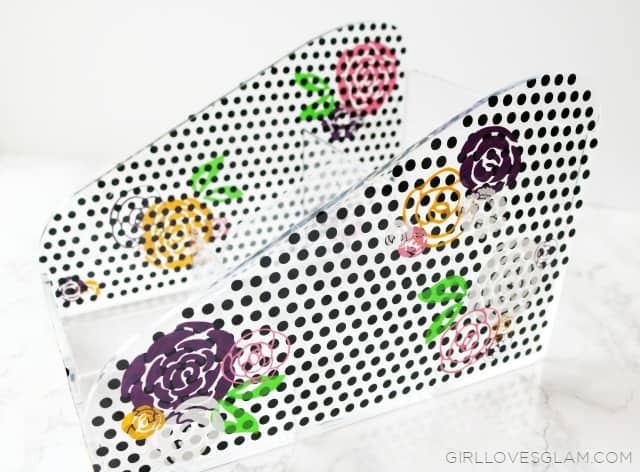 Cut out flowers onto the different colors of vinyl that you want flowers made out of. I used 3 different flower images that I purchased on the Silhouette Studio. I cut out the same flowers in all four colors that I wanted the flowers in. I used green vinyl to cut out the leaves from one of the flower images I chose. To separate the leaves from the flower, I just right clicked on the image on the Silhouette Studio and selected “ungroup” and the leaves became a separate image. I then just selected the leaves and right clicked on them and selected “group” to group the leaf images together. Pull off the excess vinyl and then weed out the extra pieces from the flowers. 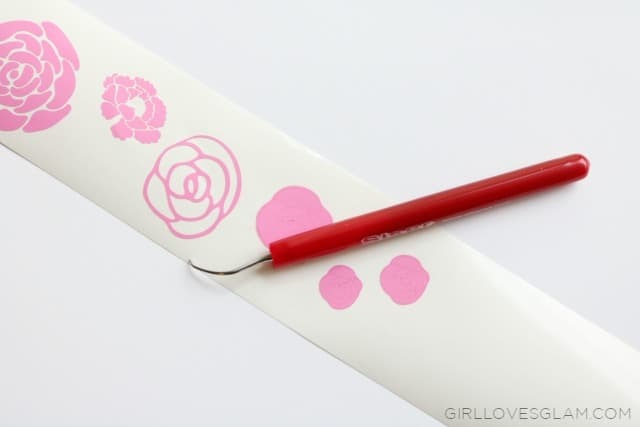 Place a sheet of transfer tape over the flowers and press on firmly. 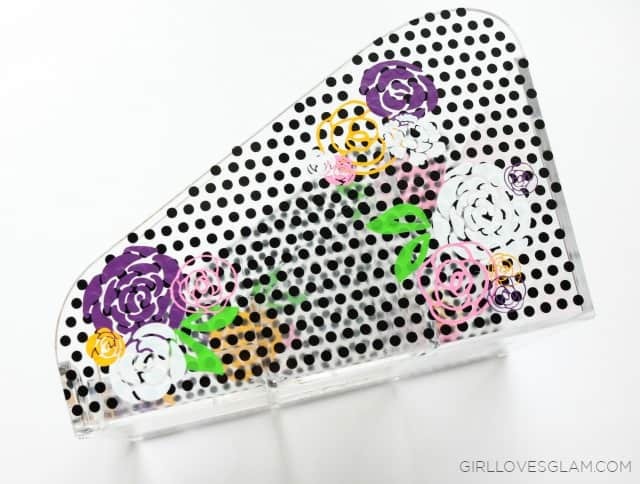 Place the flowers and leaves randomly on the organizer. Layer them how you want them to be. Just make sure that you rub them on really well before you peel the transfer tape off! 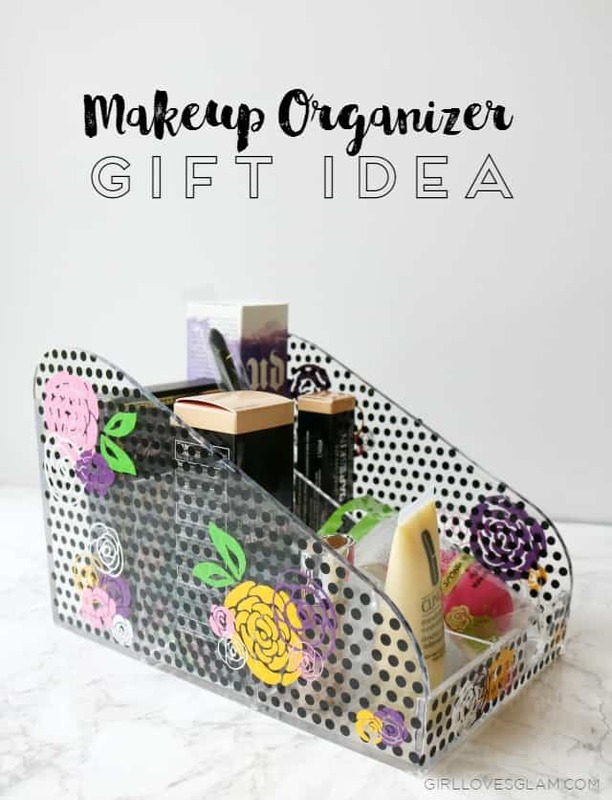 Now you have an adorable makeup organizer that you can use for yourself, or fill up with some of your favorite makeup goodies to give as a gift! 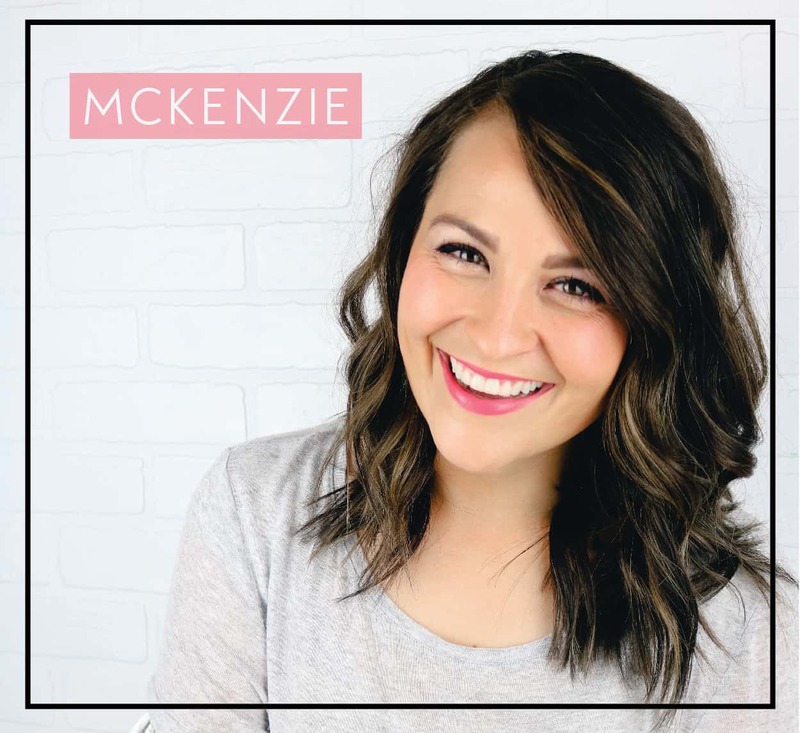 I loved choosing makeup items that I love and that I know that my mom would love too! 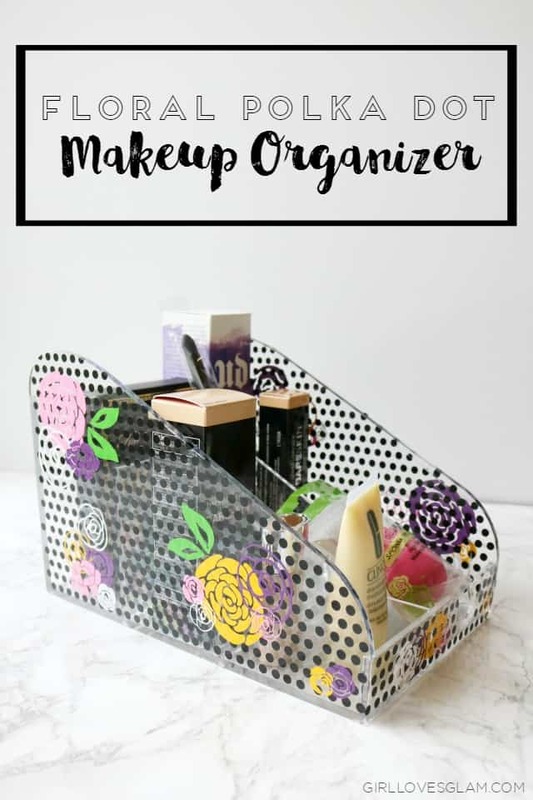 If you don’t have the budget to do a lot of makeup, you could give them just the organizer or even put in a gift card to Sephora or Ulta Beauty in the organizer. 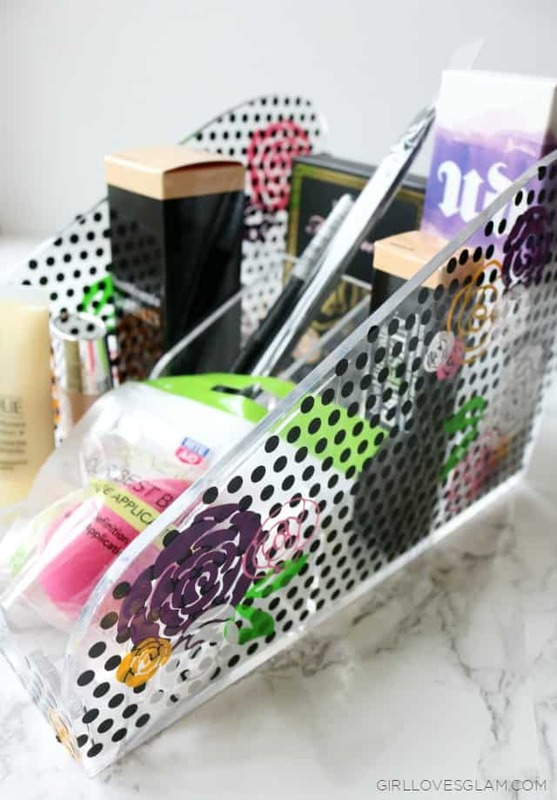 It would be fun to fill it with nail polish, hair products, jewelry, or any other goodies that your gift receiver would enjoy!